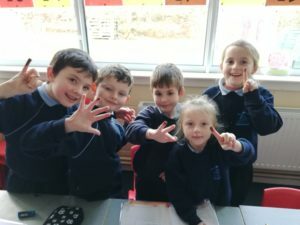 During the month of November the children in first class spent time studying change. In history the children discussed how they have changed since infancy and shared their aspirations for the future. 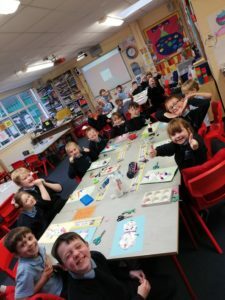 The class brought photographs from home and played a paired game of ‘guess that baby’. 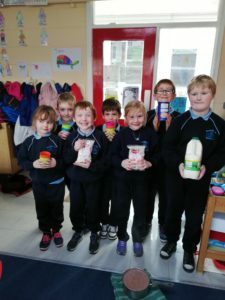 In geography the children discussed and observed the weather with the focus being on it’s change based on season. 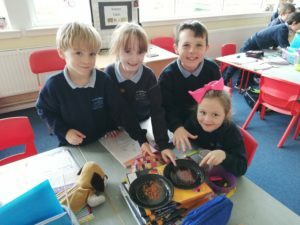 During science lessons the children investigated and comparing materials (cocoa powder v hot chocolate powder), made predictions and carried out experiments (forces – heat & materials and change – mixing) and enjoying the finished products. 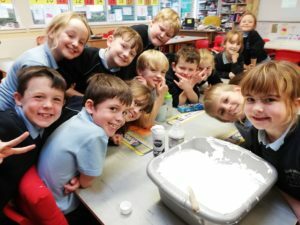 The children made hot chocolate (procedural writing), chocolate cake and shaving foam snowmen. 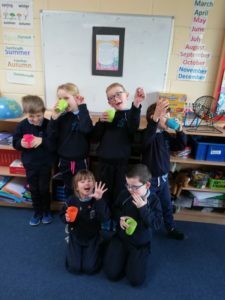 In the background of one photo please see a sample of procedural writing based on hot chocolate making which children worked on drafting and rewriting during writing hour over two weeks.